Very interesting. I've never seen anything like that before! NeverCeaseToCrease wrote: Very interesting. I've never seen anything like that before! 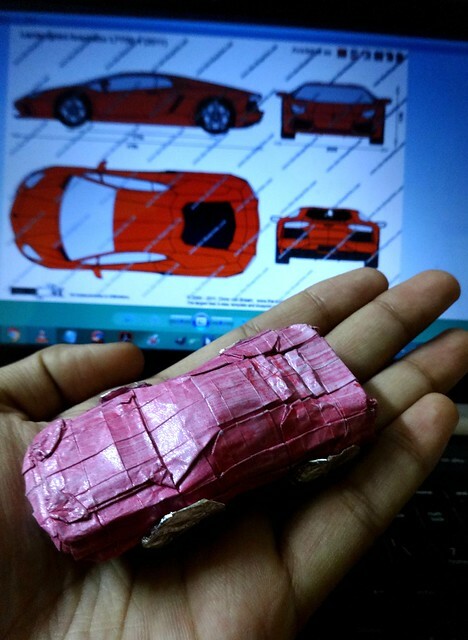 Designed and folded by me from 25 cm square of foil backed paper. 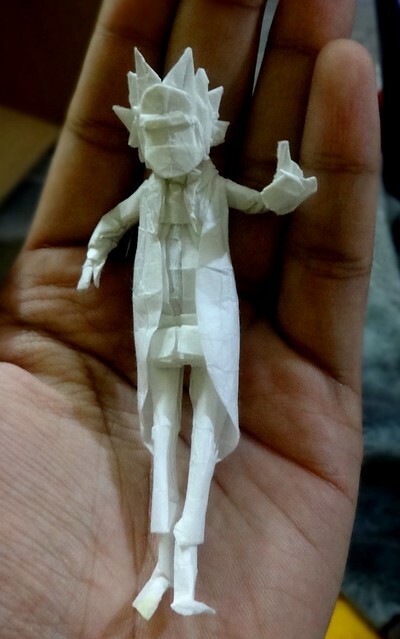 ORIGAMI RICK SANCHEZ Happy New Year 2018! Wishing a very Happy New Year to all of you! Thanks for all your support until now , and please continue supporting my work! Because Wubba Lubba dub-dub! 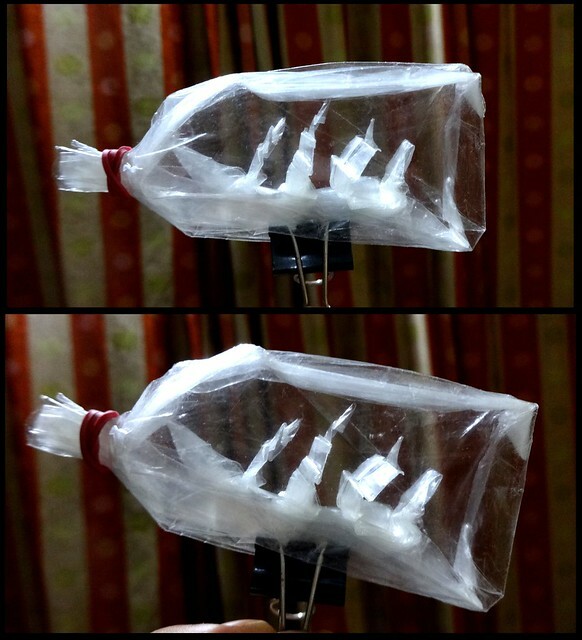 Origami : Ship In A Bottle V2! I am very pleased with the result. The sails were really difficult to fold...they keep touching each other. The ship was much easy to fold and design ( Heavy inspiration from Patricia Crawford's design ), but the bottle was really tough. The pleats on the bottom give the effect of water, and those on the top - though troublesome - give the effect of reflection? Like a glass bottle? I couldn't figure out how to shape it better. Still not a perfect design, but for the most part it works I think! It also means I'll finally be able to fold a lot of models requiring transparency. Everyone on board? XD Hope you guys like it. The human with wings looks like An Angel demon...there's already Gabriel and icarus what about Elisha or Elijah....?